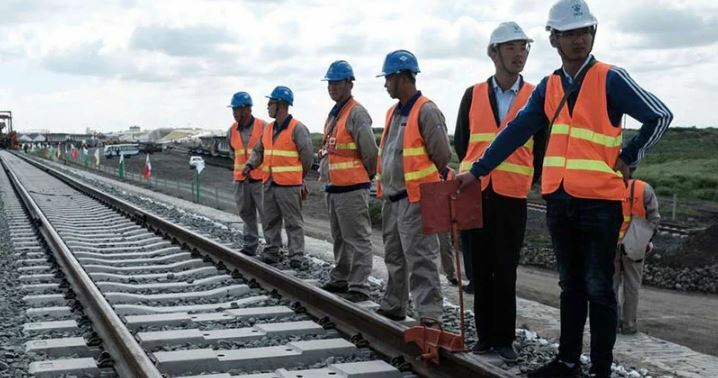 The Chinese will continue working at the Standard Gauge Railway (SGR) until 2027 when Kenyan workers are expected to take over, the government has said. Transport Cabinet Secretary James Macharia said the number of Chinese workers will reduce annually with the peak in 2027 when SGR will be run 100 percent by Kenyans. The Transport ministry also defended the Sh1.7 billion-a-month cost of running the line and assured Kenyans that it will repay its loan by 2020. The CS also dismissed allegations of racism and discrimination of Kenyans working at the SGR, promising to present a report to Parliament. “If this investment is not a success, I wonder what will ever be,” Macharia told the National Assembly Committee on Transport. “We launched this service 30 months ahead of schedule. We will be doing a total of 16 trains on the track by end of the 2017/18 financial year, and we expect that to hit 28 by the end of June next year,” Macharia is quoted as saying by Nation. In a document he presented before the committee chaired by Pokot South MP David Pkosing, the CS backed the controversial rule gagging SGR staff from commenting on issues about the line on social media. On racism, Macharia said while there were no separate tables set aside for Chinese and Kenyans, a “failure in terms of cultural integration” was to blame. He noted that all the workers share the same menu. On the cost of running the project, the CS did a breakdown to the committee showing SGR will break even by June 2019.